One of the goals of our program is to elucidate the molecular and cellular basis of hematopoietic stem cell (HSC) self-renewal and differentiation. Some years ago we opened the field of stem cell dormancy by showing that the most potent HSCs during homeostasis are in a state of deep and long-term quiescence called dormancy (Wilson A. et al., Cell, 2008). In response to stress signals, which can be mediated by bacterial (LPS) or viral infections (Interferons) or by chemotherapy mediated cell loss, these dormant HSCs become activated to produce new stem cells and progenitors (Essers M. et al., Nature, 2009). 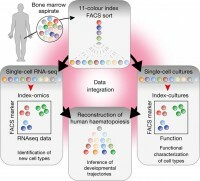 By performing a multi-omics approach, we recently used genome-wide transcriptomics (RNA-Seq), proteomics and methylome analysis (in collaboration with Christoph Plass and Jeroen Krijgsveld groups) to establish the molecular landscape of purified HSCs and their immediate progenitors (MPP1-4) in the bone marrow to understand the molecular basis of self-renewal and multipotency, as well as the complex dynamic interactions between stem cells and their niche (Cabezas-Wallscheid et al., Cell Stem Cell, 2014). 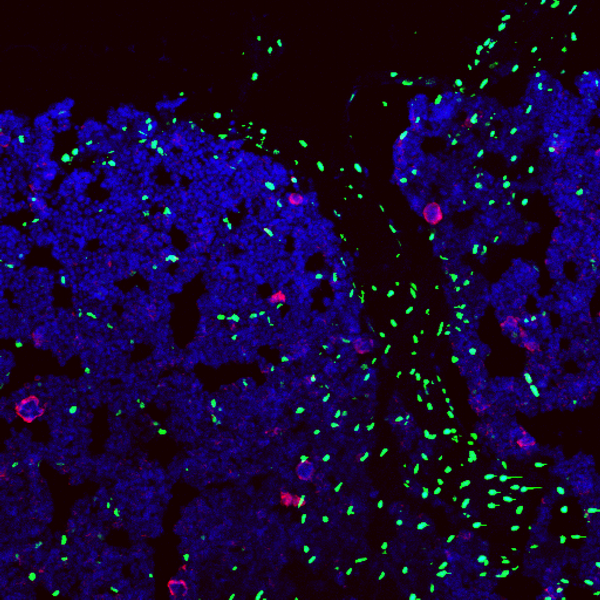 One of the key molecules controlling entry and exit of dormancy in HSCs is the oncogene MYC (Trumpp et al., Nature 2001; Wilson et al., GenesDev 2004; Laurenti et al, Cell Stem Cell 2008). 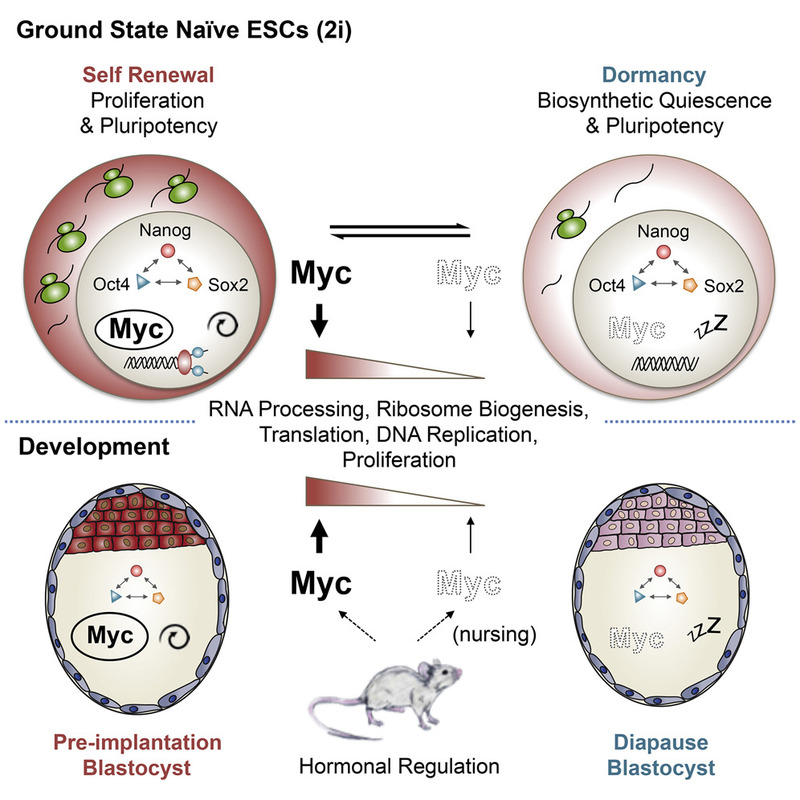 To better define the role of MYC in stem cell pluripotency we used conditional knockouts of c-Myc and N-Myc in embryonic stem cells we showed that MYC activity is responsible for dormancy and the overall activity of a stem cell, but not for the maintenance of the pluripotency. 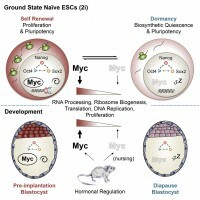 Moreover, MYC is the endogenous hormone controlled regulator determining whether pre-implantation embryos go into diapause (a physiological state of dormancy of the embryo) or continue pregnancy at normal speed. This study dissects the self-renewal pathway into a MYC dependent (metabolism and biosynthetic pathways) and a MYC independent (pluripotency) process (Scognamiglio et al., Cell, 2016). We then showed that dormancy of HSCs is mediated by vitamin A derived retinoic acid (RA) signaling. RA signaling is high in dormant HSCs and treatment with an RA agonist prevents HSC activation via inhibition of ROS and c-Myc. Mice fed on a vitamin A free diet lose HSCs and such activated HSCs fail to return to their dormant state (Cabezas-Wallscheid et al., Cell, 2017). 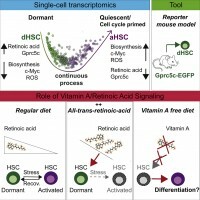 Our data now identify with the Vitamin A-Retinoic Acid - Myc axis the key pathway controlling entry and exit from stem cell dormancy. Future work will try to translate this finding into clinically relevant strategies to target dormant LSCs and CSCs. 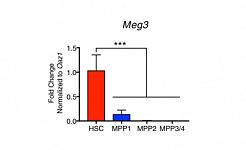 How is Myc expression regulated in vivo along the hematopoietic hierarchy? Along these lines we showed that Myc is regulated by a modular gene enhancer in the normal hematopoietic system and in leukemia. Myc expression in almost all hematopietic cell types is exquisitely regulated by a distant section of DNA that contains a cluster of transcriptional enhancers (super-enhancer). In leukemia stem cells this cluster, which was named BENC for Blood Enhancer Cluster, is deregulated, which affects Myc activity and thereby accelerates cancer growth. Furthermore, it could be shown that BENC activity correlates with acute myeloid leukemia (AML) patient survival (Bahr et al., Nature, 2018). 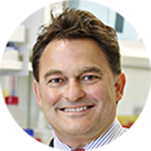 During the last years we have established together with the Lars Steinmetz team (EMBL, Stanford) and the new Simon Haas team at HI-STEM a major single cell program. Using single cell RNA-Seq analysis we could recently show that discrete cell types possibly do not exist in the human HSC-progenitor compartment. Instead, development occurs as a continuous flow of differentiation (Velten et al., Nature Cell Biology, 2017). 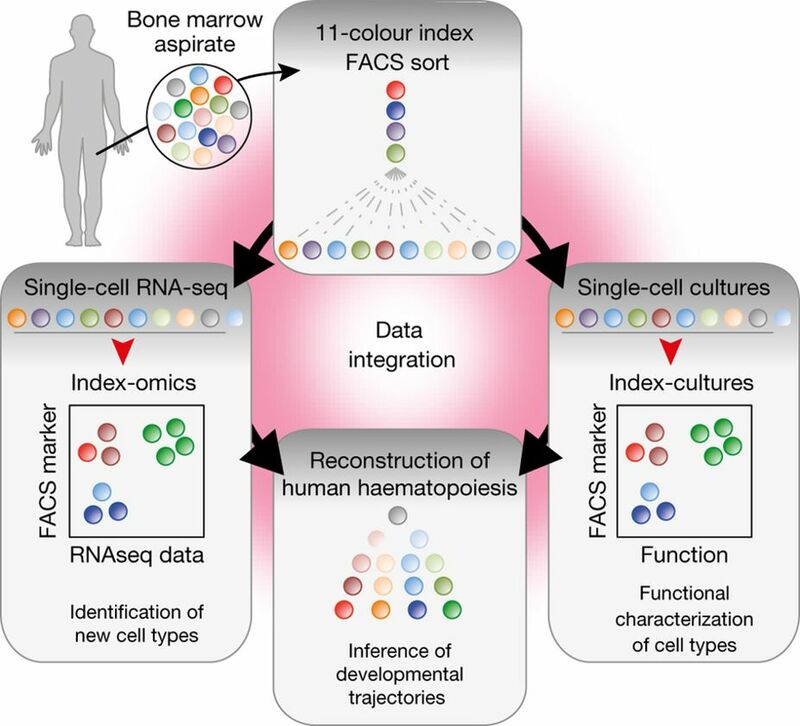 These highly cited published data had major influence not only on the bioinformatics analysis of single cell data, but also challenges the 30 year old model of a hierarchically organized hematopoietic lineage tree characterized by sequential bifurcation steps in humans and mice. 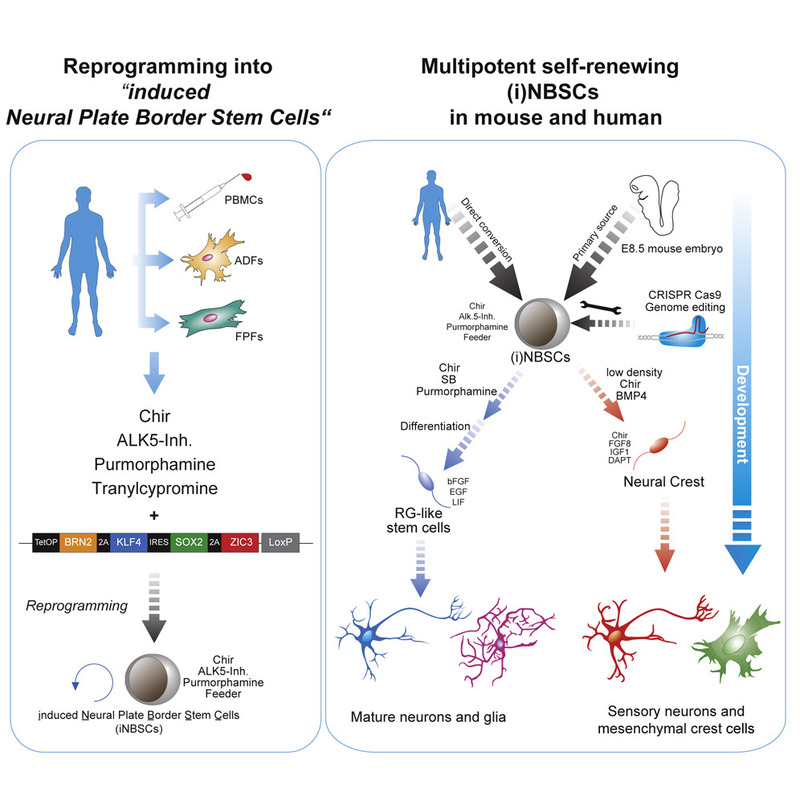 We recently reported the direct reprogramming of human blood cells into a previously unknown type of embryonic neural stem cell. 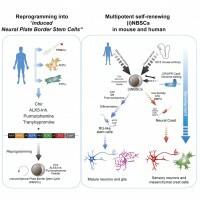 These induced neural stem cells can be modified by CRISPR/Cas9 and can be expanded indefinitely in culture and may represent an important basis for the development of regenerative therapies to treat neurological diseases including Ataxia or Parkinson`s disease (Thier et al., Cell Stem Cell 2019).